Welcome back to ‘Know a Nominee’, the interview series that climbs inside the minds of some of the most talented authors and editors working in horror today: the 2014 Bram Stoker Awards nominees. Today’s edition features Patrick Freivald, nominated in the category of Superior Achievement in a Novel, for Jade Sky. 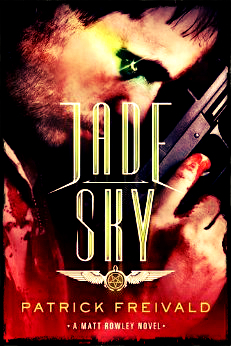 PF: Jade Sky is an outgrowth of an idea I had for an online roleplaying game somewhere around a decade ago. My brother and I created the setting and premise of supersoldiers doomed to insanity, and nothing ultimately came of it. Ten years later, the concept was still rolling around in my head, and I knew I had to write about it. PF: This book took a lot of research. There’s a complex mythology behind the series (it’s the first in a series) that spans Nazi ubermensch programs and biblical esoterica, and as the idea of the book diverged from the original premise that Phil and I had come up with, it took a lot of effort to make sure that it maintained an internal consistency with its own supernatural elements. The most rewarding part of the process was watching the characters take shape within the world I’ve established. PF: That’s a loaded question, and I think if you ask three authors you’ll get four answers. Good writing in general should, at the very least, stick with you after you’ve read it, whether because it unnerved you or made you feel great or was just a rollicking good time to read. 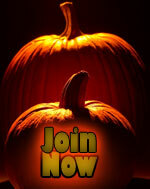 Good horror should make you want to turn away, and make you not want to turn away, at the same time. PF: I write if, when, and because it’s fun. So far that’s got me on track for two novels and a dozen-ish short stories a year, so it works for me. For my novels, I’m very much a plotter, and a lot of my creative energy goes into what is essentially a short-hand synopsis, which happens after the creation of rather detailed character dossiers for all of the main players. Once that initial creative burst is done, a process that can take anywhere from a few weeks to a few years, writing the novel is more craft than creation. I’m one of those sick freaks who likes editing, and I’m lucky to have a half-dozen fantastic beta readers who won’t spare my feelings when they think something needs improvement. So while sometimes I’ll get distracted by other things (day job, beekeeping, robotics, a different story), I’ve yet to experience what it’s like to be “stuck” as far as my writing is concerned. PF: Know the rules and accepted conventions so you can break them on and with purpose when it serves your story to do so. PF: I’ll be there! I’m looking forward to meeting up with old friends and making new ones, attending panels and readings and doing my first in-person pitch sessions. PF: I don’t know that anything scares me. I live in the middle of nowhere, where streetlights don’t exist and there’s no such thing as traffic, but I’ve spent a good amount of time in big cities and am comfortable in both environs. I’m about the least superstitious person I know, a fact that sometimes rubs my students the wrong way when they bring up the supernatural in my physics classes. Humanity is hateful and brutish when we could be loving and compassionate. I don’t understand cruelty, and while it doesn’t scare me in the sense that I think the chances of my falling victim to it at this point in my life are pretty slim, it does horrify me. PF: The Shadow Ops books by Myke Cole. I read Gemini Cell and absolutely loved it. Written after the first three, it’s still a bit of a prequel, so I grabbed the others and am about 3/4 through book one in the series. It’s superb military science fiction, and very different from what I thought it would be having read Gemini Cell. Other than that I’ve been chewing through a lot of anthologies—Shadows Over Main Street and In the Court of the Yellow King arrived in my mailbox just yesterday, and I’m looking forward to both. 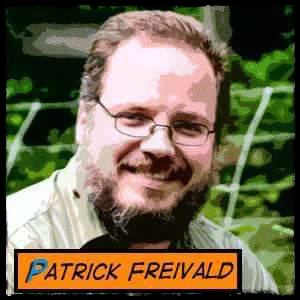 Patrick Freivald is an author, high school teacher (physics, robotics, American Sign Language), and beekeeper. He lives in Western New York with his beautiful wife, two birds, three dogs, too many cats, and several million stinging insects. A member of the HWA and ITW, he’s always had a soft spot for slavering monsters of all kinds. He is the author of Twice Shy, Bram Stoker Award®-nominated Special Dead, Blood List (with his twin brother Phil), and Bram Stoker Award®-nominated Jade Sky, as well as the novella Love Bites, a growing legion of short stories, and the Jade Sky graphic novella (with Joe McKinney) for Dark Discoveries magazine. There will be more.